Deputy Dave Estes began his career with the Marin County Sheriff’s Office in 2002. Deputy Estes has worked in the Jail and as a Bailiff for the Marin County Superior Courts. 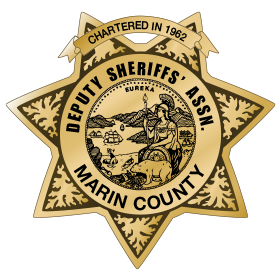 Deputy Estes is currently assigned to the Marin County Sheriff’s Re-Entry Team. In addition to these assignments, Deputy Estes has held collateral assignments such as Facility Training Officer and Fire Life Safety Team member. Currently, Dave is a hostage negotiator with the Sheriff’s Hostage Negotiations Team and a member of the Marin County Sheriff’s Peer Support Team. Dave was elected to the DSA Executive Board in January 2017.